Pick your dogs size. Pick your subscription length – starting from only £24. Free UK delivery. Cancel any time without any up front payments. 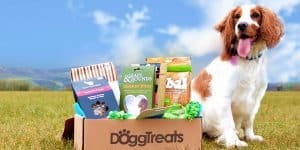 The essential monthly dog subscription box for any breed and size. 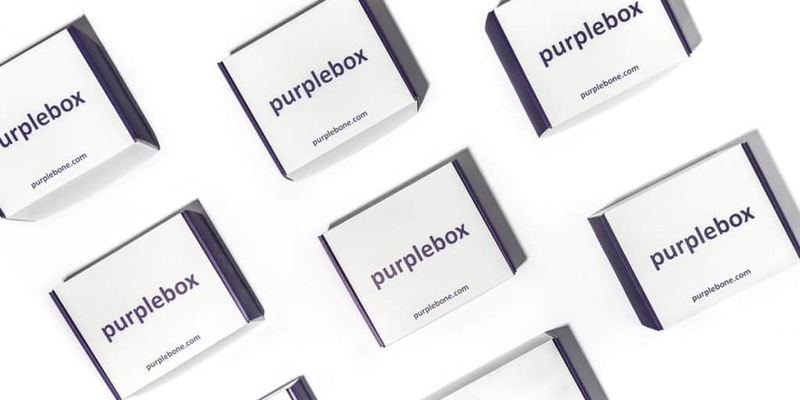 The Purplebox is packed full of premium dog toys, waste bags, treats, cosmetics for your pup, plus a free surprise lifestyle gift for their owner too. The Purplebox often includes our treats that are gluten free, free from grain and hypo-allergenic. As well as free from additives, artificial colours, flavours and preservatives meaning they are suitable for more sensitive dogs with food intolerances! Also includes our convenient grooming and cosmetic products that can help keep your dog clean on the go. As well as a multifaceted dog toy selection to keep your dog entertained every month. Not only can you save money with a Purplebox subscription you’ll see the benefits of giving your pet the best products there are to offer. How would you rate Purplebox ?